You must provide this information during the appeal or the appeal cannot be filed. For a timely appeal, you must file the appeal within 15 calendar days of the MAILING date of the Deputy's Decision. If you are unemployed, continue to file your Weekly Certification. Mail: 30 State House Station, Augusta, ME 04333. Hand Delivery to 45 Commerce Drive, Augusta, ME 04330 or to your local Maine CareerCenter. In the event that you are unclear whether your appeal was filed correctly, please call the Division of Administrative Hearings at (207) 621-5001 or email admin.hearings@maine.gov. You must provide this information during the appeal or the appeal cannot be filed. You must file the appeal within 30 calendar days of the MAILING date of the Assessment/Determination. For more information about tax determinations call the Employer Services Division at (207) 621-5120 or 844-754-3508. If you do not appear and you are the appealing party, your appeal will be dismissed. If you do not appear and you are the non-appealing party, the hearing will continue without you. Be prepared to present your case thoroughly. The Administrative Hearing Officer and all parties receive a hearing packet, including a copy of the Deputy’s Decision and all of the documents in your file. If you have additional documents you would like the Hearing Officer to consider, you should submit them to the Division of Administrative Hearings prior to the hearing at admin.hearings@maine.gov. If there are witnesses with firsthand knowledge of the circumstances surrounding your case, make sure they will be available to attend your hearing to present their information. If you ask someone to appear as a witness and they refuse, you may request that they be subpoenaed. This means they will be required by law to appear. Please notify us in advance if you need services that will assist you in presenting the facts at your hearing. These may include, but are not limited to, accommodations for people with disabilities, foreign language interpreters for people whose first language is not English, or sign language interpreters for people who are deaf or hard of hearing. We will make the necessary arrangements for your hearing. The Commission does not hold hearings except on rare occasion. The Commission may affirm, modify or set aside the decision of the Administrative Hearing Officer based on the evidence already presented at the hearing before that Hearing Officer. Request for Commission Hearing for Income Tax Refund Offset: Used to request a commission hearing when an Income Tax Refund is being offset. 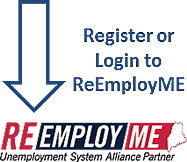 Overpayment Waiver Information: Information on how to request a waiver of an unemployment benefit overpayment through the Unemployment Insurance Commission.